Jodi Brenner Ginsberg is an honors graduate of Newcomb College of Tulane University in New Orleans, Louisiana. She was selected by her peers to deliver her class graduation address. After graduation from college, Ms. Ginsberg moved to Atlanta and enrolled in the Georgia State University College of Law. She was elected senior editor of the Georgia State Law Review. 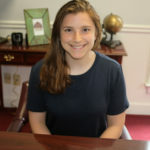 She served as a third year practice associate with the Fulton County District Attorney and as a clerk for the Court reporter for the Supreme Court of Georgia. Following graduation, Jodi accepted a position with Swift, Currie, McGhee & Hiers, a downtown Atlanta firm where her practice was concentrated in the area of workers’ compensation insurance defense work, and medical malpractice. In 1994, Jodi formed her own firm, Ginsberg & Associates where she created a practice dedicated to the interests of injured workers, auto accident injury litigation, Americans With Disabilities Act litigation, medical malpractice litigation and Social Security disability litigation. In 1998, Jodi joined Ginsberg Law Offices, P.C., where she continues her practice. She is a member of the State Bar of Georgia, and has lectured at several seminars on worker’s compensation and Social Security disability. Jodi’s husband, Jonathan Ginsberg, is also a member of the firm and practices in the areas of consumer bankruptcy and Social Security disability. You can contact Jodi directly by phone at 770-351-0801 or get a Free Case Evaluation. 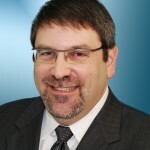 Jonathan Ginsberg manages the Social Security disability and consumer bankruptcy practices at Ginsberg Law Offices, P.C. A native of Atlanta, Jonathan attended Morningside Elementary School, the Epstein School and Northside High School. Jonathan thereafter attended Tulane University in New Orleans, Louisiana and Tulane College of Law. After graduation, Jonathan returned to Atlanta and began work as an associate at a small litigation firm where he represented plaintiffs in car accident negligence lawsuits and injured workers in claims before the State Board of Workers’ Compensation. In 1988, Jonathan and a colleague formed Galler & Ginsberg, P.C. which handled personal injury, workers’ compensation, consumer bankruptcy and Social Security disability cases. Galler & Ginsberg grew to a 25 person operation and was recognized by the Fulton County Daily Report as the 4th largest bankruptcy firm in the state of Georgia. In 1997, Jonathan incorporated Ginsberg Law Offices, P.C. and continued to practice in the areas of Social Security disability and consumer bankruptcy. In 1998, Jodi Brenner Ginsberg joined the firm with her existing workers’ compensation practice. In addition to practicing law, Jonathan oversees all web site and blog activity for the firm. He is a published author with two “how to” books about Social Security disability to his credit. Jonathan teaches live lawyer continuing education classes to Georgia lawyers, and he is a faculty member of Solo Practice University, an online education project designed to help lawyers throughout the country enter private practice. Jonathan and Jodi live in the Sandy Springs area with their poodle, Joey. Jessica joined Ginsberg Law Offices in February, 2018. She is an honors graduate of Emory University, and Emory University College of Law where she also earned a masters degree in bioethics. Mya is a native of Grand Rapids, Michigan. She graduated from Grand Valley State University in Allendale, Michigan where she obtained a degree in political science. While in college, Mya played on the varsity women’s basketball team, and she currently coaches a girl’s travel basketball team in the Atlanta area. Mya has a long career as a litigation paralegal both in Michigan and in Atlanta. She is skilled at case management, discovery production, deposition scheduling, mediation preparation and litigation preparation. In March, 2013, Mya joined Ginsberg Law Offices, where she works with attorney Jonathan Ginsberg in the firm’s Social Security disability practice. Callers to Jonathan’s section of the firm are greeted by Mya’s friendly voice and she is the “go-to” resource for medical case file updates. She finds great satisfaction in working on behalf of men and women who have medical or mental health disabilities who are in need of a friendly voice and, ultimately, a favorable decision from Social Security. 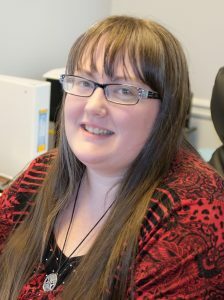 Kayla Boss works as a paralegal directly with attorneys Jodi Ginsberg and Jessica Ginsberg. She assists Jodi and Jessica with all aspects of case management, including calendaring, scheduling medical appointments, follow-up, gathering information for interrogatories and requests for production of documents. .